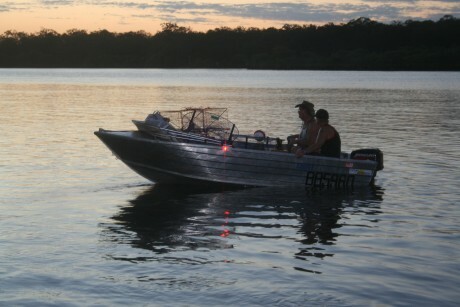 Off fishing for the weekend, we had planned this for weeks, the weather was forecast in the high 20’s centigrade. Preparation for the trip included me hammering and banging in the shed by me, Ali doing the normal gear reconciliation and quarter master activities. Expectations are high, this will be a great fishing weekend. My garage efforts saw the boat now equipped with a hydrofoil on the motor, to make take off smooth and a portable console. The console is to house the fish finder, switches for the lights and a power take off for running all those little handy things in the boat. When you have a simple aluminum boat like mine, everything needs adding, and we are finally getting there with it. Lumpy and dirty the sea at Donnybrook looked a little uninviting, but when I stepped into the Pumicestone Passage to launch the boat, it was very warm, around 27 centigrade. Nearly warm enough for croc’s, it’s a good job they don’t come down this far south. 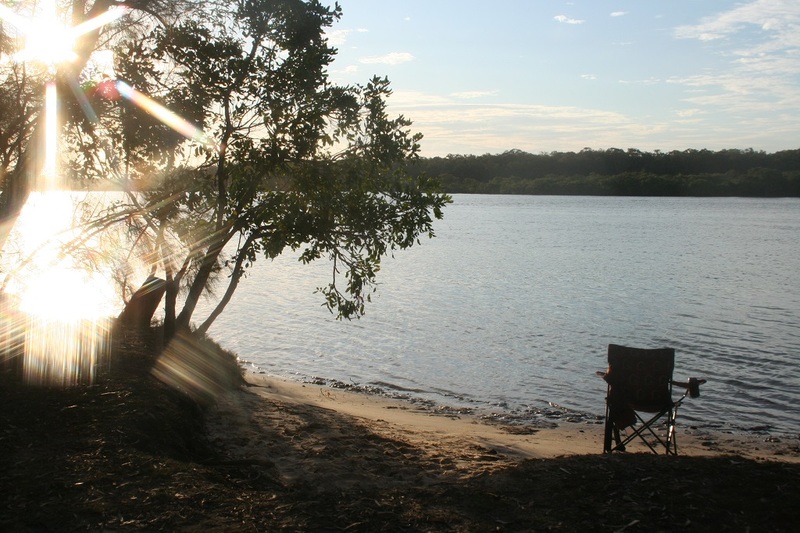 We have booked a camp site at Lime Pocket in Bribie Island Recreation Area, its bush camping on the edge of the passage with the only access by boat and the girls are coming with us to celebrate Als birthday with a spot of family bonding laced with fishing and crabbing. The fish we are expecting to catch in this area are flathead and bream, and the crabs are mud crabs (Scylla Serrata). We can not get the gear and all four of us in the boat at once so our method is to take two trips. Al and I get to Donnybrook about an hour and half before the girls, that gives us time to put the boat in the water and then hour to run up to the camp grounds, drop off gear and Al while I go back to Donnybrook for the next trip. By the time I turn up with the girls and their gear, Al has put up our tent and the camp site ready to go. It was around five at night and without daylight saving in Queensland and our early dusk even in summer, daylight is short in the evening. We baited up the crab pots and got them out before the dark. Tonight’s canned stew night, cooked on a hot plate over the fire pit provided in these camp grounds, we are hoping tomorrow night will be flathead and crabs for dinner, but we have some cans, just in case. Our evenings are always good as we catch up around the fire having a few adult beverages and enjoying a little music from someone’s Mp3 player and the monkey.